Who is responsible for the biggest flare up in violence between Israel and Palestine since 2008? Many people on social media sites relentlessly point to the Palestinians while others curse the Israelis. President @BarackObama, your generous gifts to Israel are hurting us. It appears the anonymous tweeter may not be alone in his thinking. Many non-profit organizations and foreign nations call for an end to the “unconditional” U.S. military aid to Israel. This year, Israel received $3.00 billion in military aid from the U.S., which was in compliance with a ten year agreement (2009-2018) to increase military aid to Israel, signed by President Bush in 2007. Much of the aid includes weapons and F-16 jet fighters; the same aircraft that have been reportedly used in the recent bombings of Gaza. 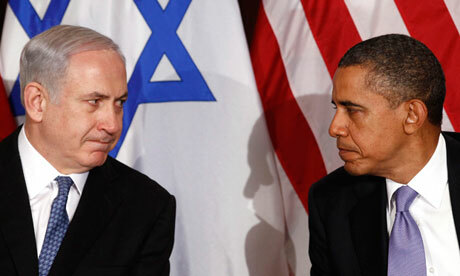 Israel is set to receive $3.15 billion in military aid from the U.S. in the first 30 days of fiscal years 2013-2018. We will continue to go through the budget- line by line, page by page- to eliminate programs that we can’t afford and don't work. Others are against the aid for different reasons. A group of Christian leaders across the US (who typically tend to favor aid to Israel) drafted a letter to Congress, advocating for the suspension of military aid to Israel, until it is in compliance with our laws, which ban U.S. aid to countries that engage in human rights violations. Politics aside, it is undeniable that Israel is America's strongest ally in the Middle East. Many in America feel that it is their duty to protect a fellow democratic nation and loyal friend. But taxpayers also want to know if their money is being spent wisely. Do you think the amount of military aid the US provides Israel is warranted? Who is The Islamic State?